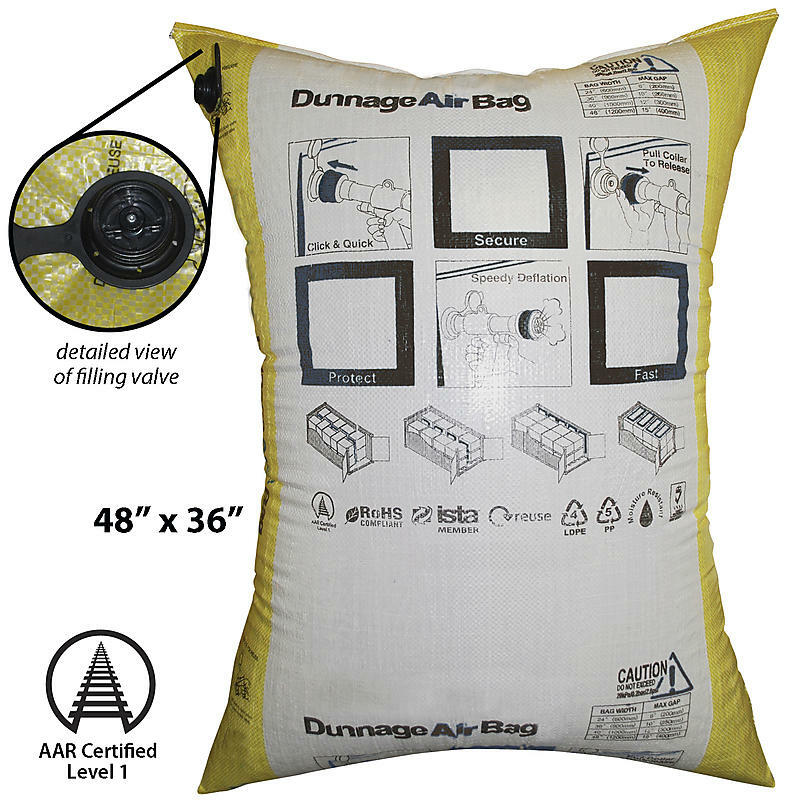 Dunnage Air Bag 48" x 36"
Dunnage Air Bags are great for filling empty space in your trailer so your load does not shift. These bags ship flat (deflated). They provide convenient and cost-effective cargo stabilization in sea containers, closed railcars, trucks, and oceangoing vessels. Dunnage bags improve road safety by filling the void between the cargo. You will need an inflator nozzle to inflate and deflate these bags.